On December 2, 2015, the Mexican government took an important step forward in guaranteeing migrant children’s right to freedom by directly prohibiting immigration detention of children in the official regulations for the National Child Rights Law. Article 111. At no time will migrant children or adolescents, regardless of whether or not they are traveling with adults, be deprived of their freedom in Immigration Stations or in any other immigration detention center (unofficial translation). The regulations establish national norms for the implementation of the Child Rights Law and represent significant progress in protection policies for refugee and migrant children. 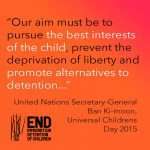 The regulations recognize that immigration detention is no place for children. 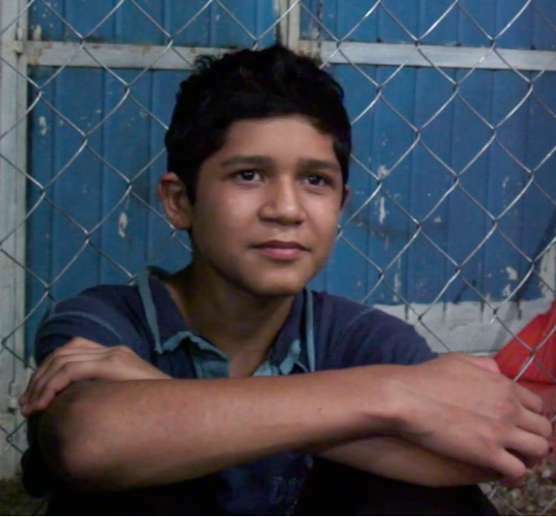 Article 111 provides greater protection for migrant children’s freedom, going further than the current Immigration Law, which states that only children traveling without their parents or guardians should be transferred to the family welfare system (DIF) instead of being placed in immigration detention centers. Article 111 also requires that Mexico adopt and implement mechanisms to prevent children accompanied by their parents or guardians from being detained for immigration purposes. Such policies directly address recommendations by the the UN Committee for the Rights of the Child, creating opportunities for Mexico to implement alternatives to detention that allow children to participate in their immigration processes while living freely in the community. The Child Rights Law and Regulations also create a National Child Protection System with a new Federal Office for the Protection of Children’s Rights. The federal office, in coordination with the National Institute of Migration will be responsible for developing a protocol in order to ensure that immigration processes always put the best interests of the child first (Article 105 of the regulations). Furthermore, the Child Rights Law and Regulations mandates the creation of a database on migrant children, including information on if they were victims or witnesses of crime, as well as on possible international protection needs. Thus, the law and its regulations serve as part of an important legal and informational foundation from which to work toward eradicating immigration detention of children. The regulations are a reflection of civil society and government collaboration in the construction of legal frameworks that respect and protect human rights. While there is still much work to be done in order to establish effectivecommunity reception and placement mechanisms, we consider this a significant step toward the practical recognition of migrant children as rights holders and active participants in exercising those rights.